Joe Robbins is co-founder of CareerWise Recruitment. A graduate of the University of Limerick (Degree in Business Studies, 1985), Joe worked in the UK for five years where he specialised in materials management, production management and plant management for a number of companies. 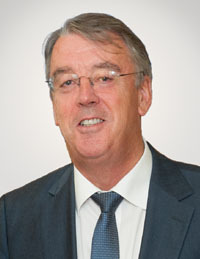 He returned to Ireland in 1992 to become Operations Manager for a Cork-based start-up, FMC Automotive Division which was subsequently taken over by Snap-on Equipment. Joe managed the business re-location of this company to Shannon in 1997 before setting up CareerWise Recruitment in 1999. 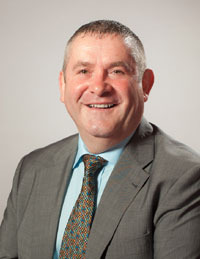 He is a committee member of the Chartered Institute of Personnel and Development (CIPD) Mid-West region, and a former Director and Vice President of the Shannon Chamber. Joe is also Chairman of the Sixmilebridge Camogie Club and Vice Chairman of the Clare County Camogie Board. 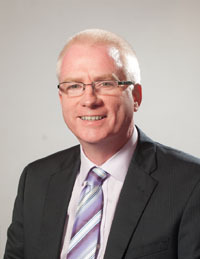 Ken Murphy graduated from University College Cork in 1987 with an Electrical Engineering degree before moving to the US as a Network Design Engineer with BellSouth Corporation. His return to Ireland in 1989 heralded a career which concentrated on the multinational sector, and involved working with companies such as Apple Computer, Cabletron, FMC Automotive, Moog, General Semiconductor and Technicolor. Ken is a specialist in quality management, purchasing, logistics and supply chain management. He has significant expertise and experience in managing the changing demands of the global media, electronics and automotive sectors at operational and project management levels. Ken leads CareerWise Recruitment’s Cork operations. He has served on local and national committees of IPICS (The Supply Chain Management Institute), CIPD, the Cork Electronics Industry Association (CEIA), and has completed a three-year term as Chair of the UCC Alumni Board. Mike Morrissey has extensive knowledge of production, quality and engineering, having worked for Dell, Creative Labs and Tyco Safety Products /Sensormatic. His expansive operational experience is grounded with training as a Six Sigma Black Belt. As a lead auditor, he is very familiar with compliance and quality standards and has project managed the implementation of the environmental standard ISO14001. He has successfully utilised his project management and team leading skills in implementing numerous cost-saving and process improvement projects. Since joining CareerWise Recruitment, Mike has graduated with a Diploma in Personnel Management from UCC and is a Chartered member of the CIPD. Tom Devaney set up CareerWise Recruitment in 1999 and has 12 years’ experience in specialist recruitment having recruited for major multinational companies in Ireland. An active member of CIPD, Tom has served four years on the western CIPD committee. Prior to setting up CareerWise Recruitment, he worked for Snap-on Equipment where he was the European Materials and Purchasing Manager with international responsibilities. Tom spent a year in the US working on projects with McKinsey & Co. where he developed very strong negotiation and business skills. His years in purchasing with Thermo King in Galway initiated his very successful career to date. Michael worked for over 10 years in the industrial engineering environment before starting in recruitment with BDO in 2006 on their engineering desk. He joined IRC in 2008 as a technical engineering consultant before moving into account management and becoming principle account manager in IRC. Michael has worked with some of the largest engineering companies within the mid west region and has had sole management responsibility for one of the largest temporary staffing accounts with one of the bigger multinationals based in Ireland during his time with IRC. Michael joined Careerwise in April 2016 with the responsibility of growing the business out of the new Galway office with a primary focus on the West, North-West and Midland regions. Michael has extensive experience and knowledge in the technical, engineering and commercial sectors. Louise has a Marketing Degree from Limerick Institute of Technology. She has also completed a Certificate in Personnel Practice from the National College of Ireland. She is also CIPD accredited. She has 16 years Recruitment experience with Collins McNicholas (Dublin, Galway & Athlone), HRM (Dublin), Lionbridge (Mayo) and Team Horizon (Mayo & Dublin). She has also worked in Quality Assurance in Allergan (Mayo) & with Ballina Beverages (Mayo). She has successful recruitment experience involving key roles within Human Resources, Engineering, Quality Assurance and Planning for large multinational companies. She was involved in recruiting all levels including Senior Management for the Medical Devices, Electronic, Pharmaceutical & Manufacturing Industries both on the contracting and permanent side of the business. She has developed a Strong Network of Engineers built up over the last 16 years as she worked in the Mayo, Sligo, Dublin, Athlone and Galway Markets. Louise has joined CareerWise in March 2017 with the responsibility of growing the business out of the new Mayo office with a primary focus on the West & North-West regions. Brian Flynn has a number of years’ high level experience in executive search, particularly within the pharmaceutical, biotech and agribusiness sectors. He has also held senior HR positions with Schering Plough and Glaxo Smith Kline, and is a former Regional Director with IBEC. He has a Masters degree in Psychology, is a Fellow of the CIPD, and a former member of the National Committee of the CIPD. 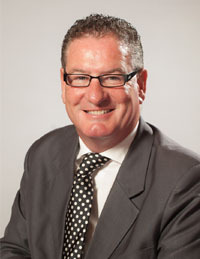 He has also lectured in HR and Psychology at WIT and NUI Maynooth. Diarmuid joins Careerwise with a strong Industrial technical support, technical recruitment and capital equipment sales background. He has had extensive exposure to the manufacturing sector within Ireland from his previous roles with a number of leading multinational companies such as Siemens, Atlas Copco and Logitech. 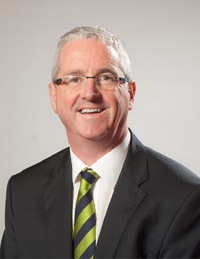 Diarmuid holds a Post Graduate Diploma in Management from the Open University along with technical qualifications in Electrical Engineering and Automation from the CIT. Diarmuid is also qualified as a Certified Manufacturing Engineer with the Society of Manufacturing Engineers. Conor is a sales professional with approx. 12 years experience in the Recruitment, Property and Advertising industries. Conor has a background in engineering recruitment for clients based in the pharmaceutical and medical device sectors throughout Ireland. He holds a Diploma in Human Resources Management and he is also a qualified auctioneer. Conor joined CareerWise in June 2016 as a Senior Recruitment Consultant. JP O’Connor is a Technical Recruiter, who previously worked within operations at two global healthcare companies. He holds a Cert in NRF Recruitment Practice and specializes in placing the best candidates across both the Medical Device and Pharmaceutical industries. He also holds a PHD in History from the University of Limerick, where he taught a variety of subjects to undergraduates and trainee teachers enrolled on the Graduate Diploma in Education. Prior to this he worked as an office manager for a graphic design company, overseeing the production of audio visual displays and the monthly publication of a local colour magazine. JP is focused on finding the best candidates for his clients and has strong experience in sourcing the right people for hard to fill vacancies. He has recruited engineers for some of the biggest multinationals based in the south and has an excellent understanding of the technical requirements of every role he works. Brenda Nicholson heads up the Finance and Administration Section of CareerWise Recruitment looking after accounts, administration together with payroll services and the HR function for both Permanent and Contract Employees. 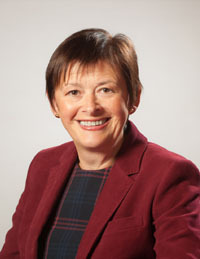 Brenda has significant experience in people, operational, finance and IT management. Kathy brings over 20 years experience from the Financial Services Sector where she has gained many years experience in Customer Service, Administration and Finance. She works in the Finance and Administration section of CareerWise Recruitment looking after Admin and Payroll services. Kathy is qualified as a Certified Payroll Technician through IPASS (Irish Payroll Association) and holds a Diploma in Business Skills. Gillian comes from a large multinational telecoms environment, where she worked in Finance/HR and Project Administration for over 9 years. She also has many years editorial/desktop publishing experience which has led her to developing a keen eye for detail. Her role as Market Researcher draws on this keen eye and enables her to identify and source potential candidates from various social and professional networks. 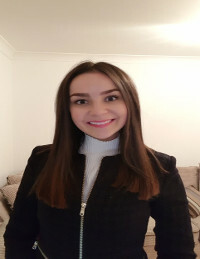 Since joining CareerWise Recruitment, Gillian has been focusing on developing and utilising all relevant aspects of social and professional media. 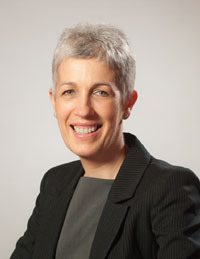 She is CIPD (University of Limerick) qualified and also holds a diploma in Business Studies. Emma joined CareerWise in July of 2016. She has many years experience in process driven workflows. She is responsible for full contractor screening for one of our major clients and documents human resource actions for same. She stays informed with industry up dates by participating in educational opportunities and regular professional publications. She is Lean Six Sigma qualified in Quality Assurance and Service Improvement. Michelle is a graduate of the National University of Ireland, Galway, where she graduated with a Bachelor of Commerce Degree specialising in Human Resource Management. Since graduating in 2014 Michelle has worked in Dublin in the financial services industry and completed a Professional Diploma in Financial Advice in 2016. Michelle is currently undertaking the NRF Programme in Recruitment Practice and is based in our Galway office having joined CareerWise as a Recruitment Consultant in March 2018.